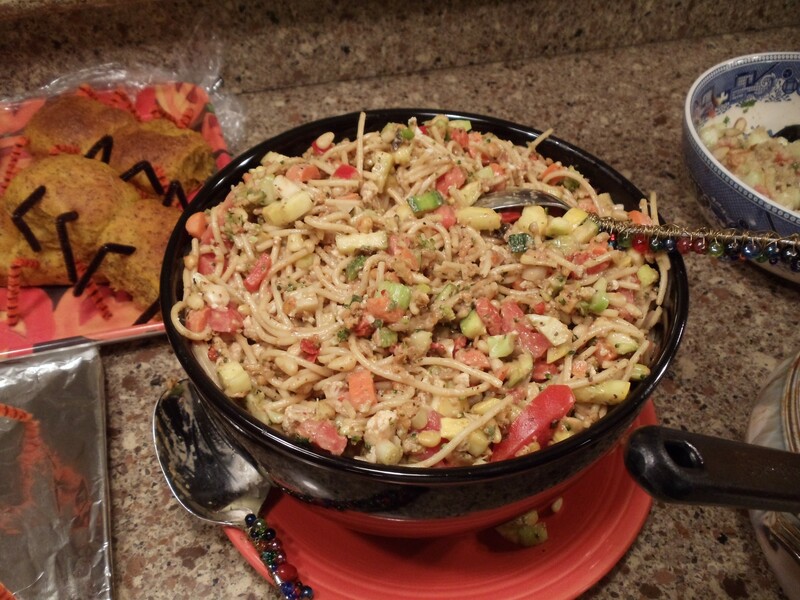 the Shabby Chic Chefs….Halloween party! They Show You How! the Shabby Chic Chefs. …..Halloween Party! Halloween witches are great friends! 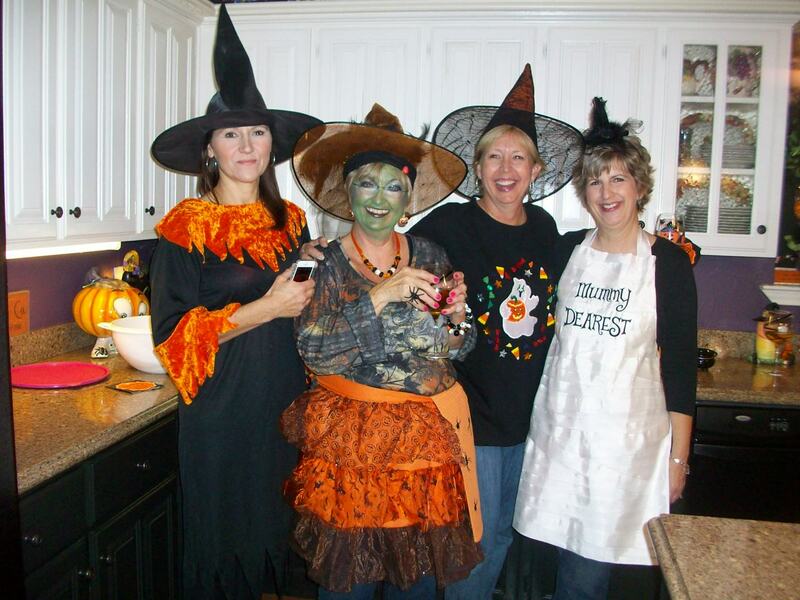 Best Friends and cookbook authors, show off how they celebrate Halloween! The group themes their get together and everyone enjoys the Halloween treat at Beverly’s house. She enjoys hosting this one because her home is decorated. 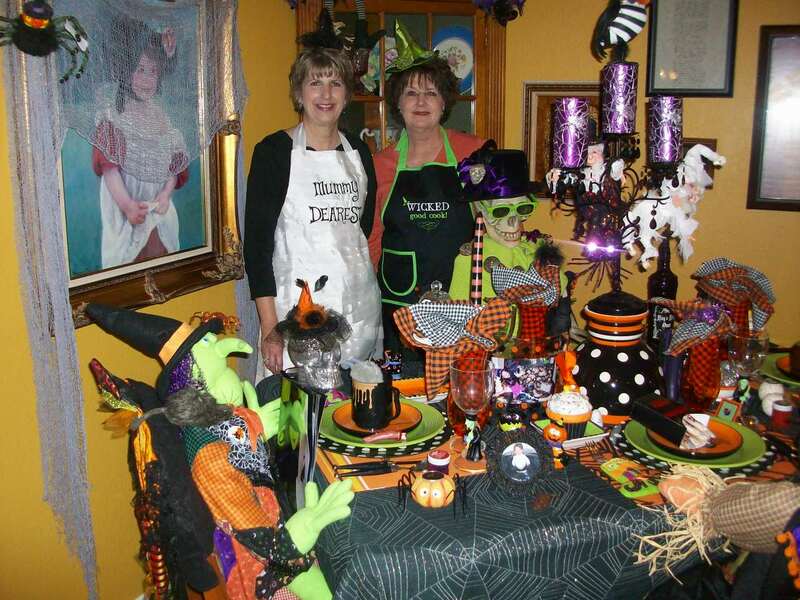 The table stays set for the main witch and her friends ready to party all Halloween season! The Halloween menu includes the freaky and scary names of the dishes that the Chefs added for fun! 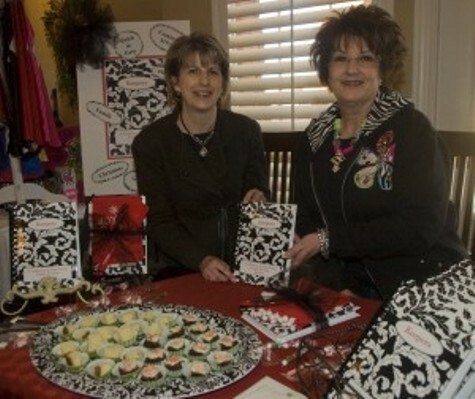 This is a great way to reinvent tried and true delicious recipes for your themed party! “Bad to the bone ribs” look freshly cut……enjoy! 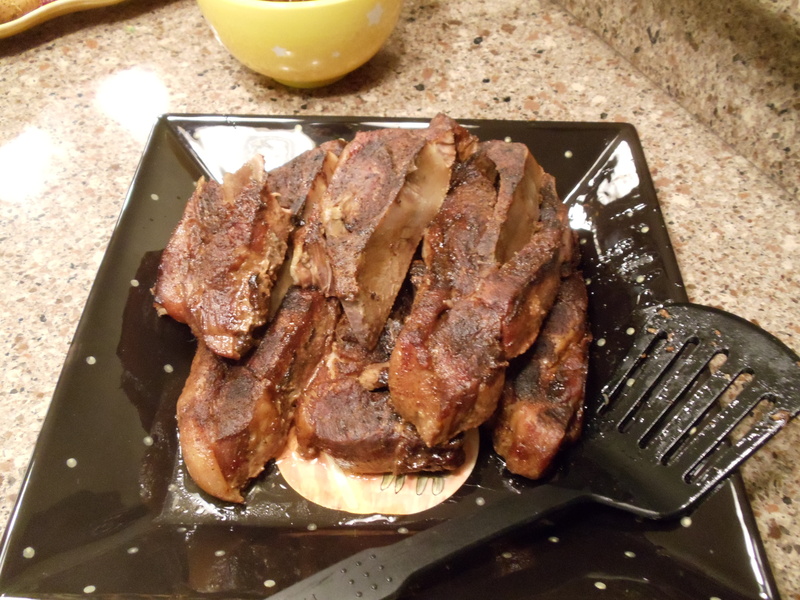 Sprinkle ribs with meat tenderizer, cover with liquid smoke. Refrigerate overnight, covered with foil. Next day, sprinkle ribs with mixture of remaining ingredients. Cover tightly with foil and bake 2 hours at 300. Reduce heat to 200 and bake 2 more hours or until tender. Serve with hot degreased liquid or barbecue sauce of your choice. 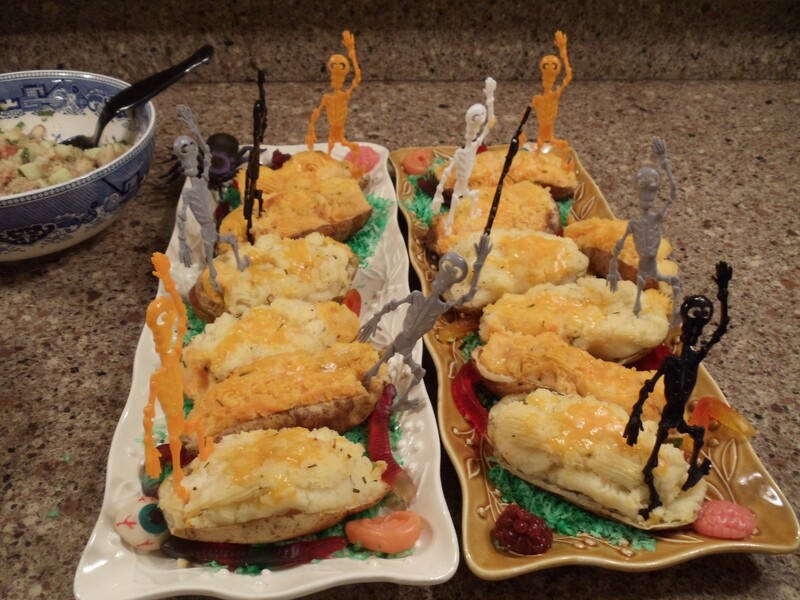 Beverly and Joan share some more pictures of their everyday and party dishes turned Halloween! eeek eeek, don’t eat me! “Bat bites” will surely delight! Want to sample some tasty “Rearranged Organ Salad”? 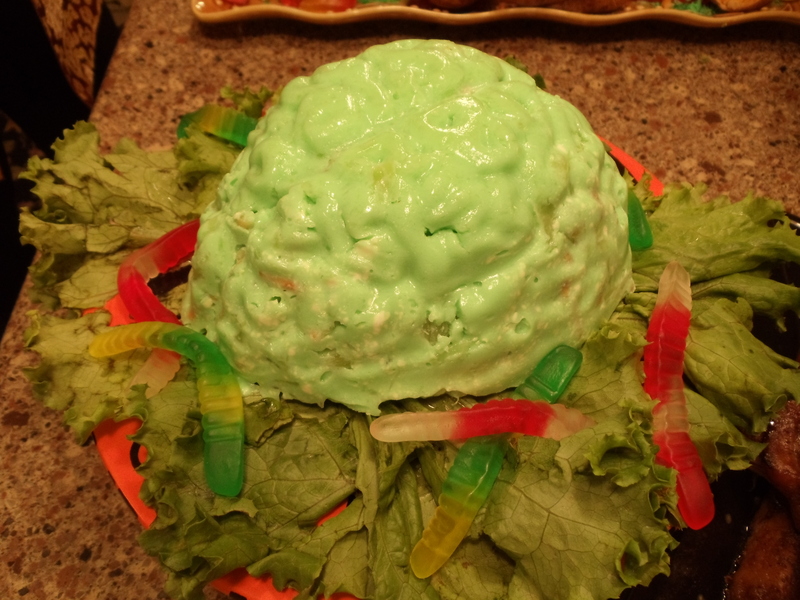 Hurry and eat some “Brain Salad” before the worms devour it and you go hungry! 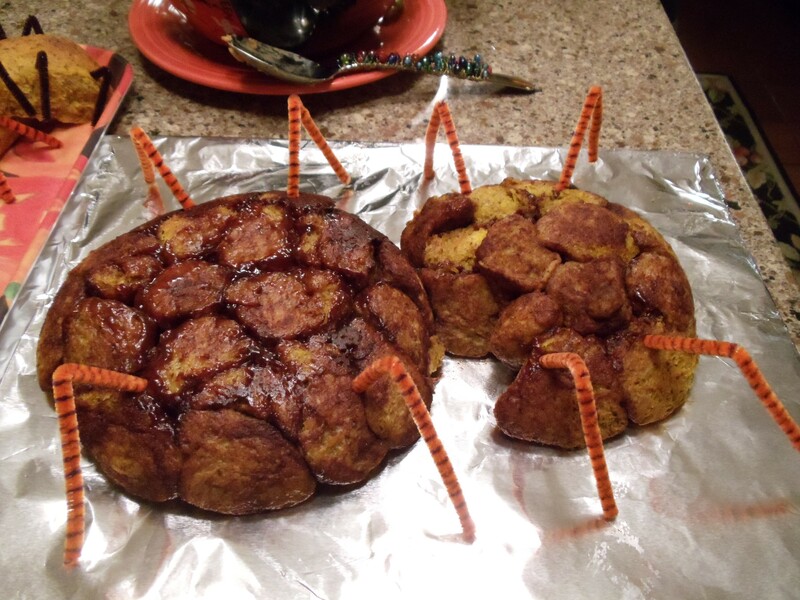 Catch the “spider bread” before it crawls away! 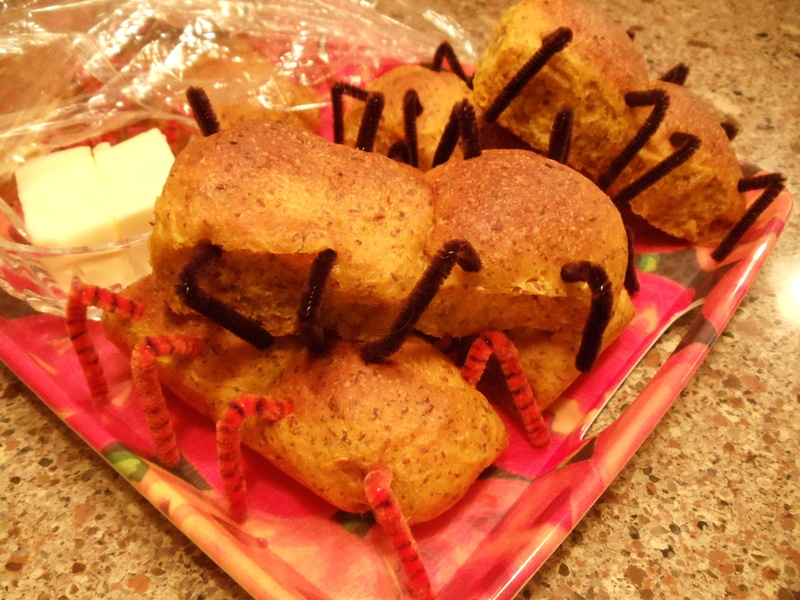 “Bug Bread” will tickle your throat with the creepy crawly legs as you swallow! 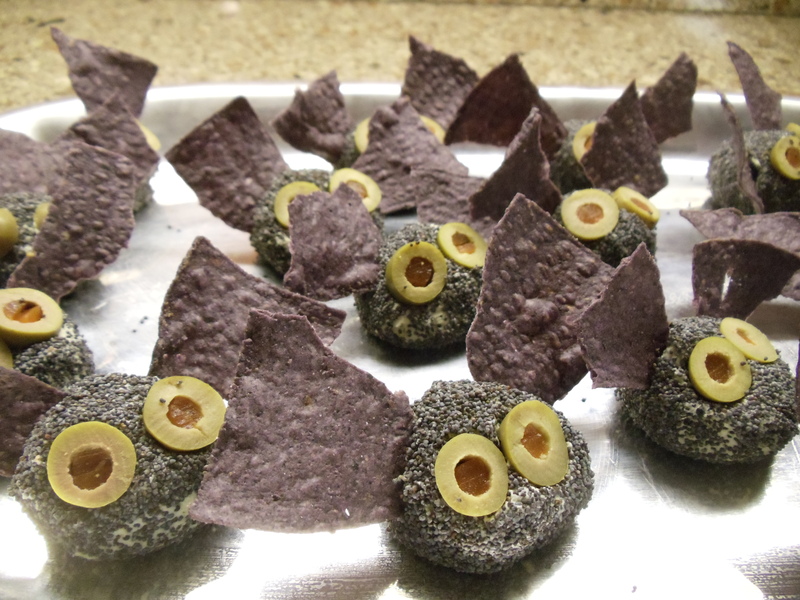 Halloween treats for the brave at heart! 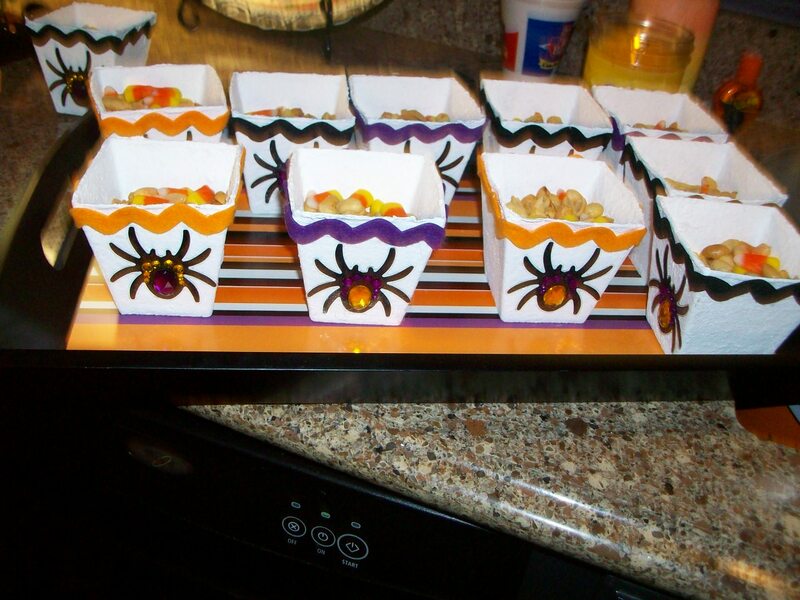 Beverly sprayed inexpensive potting containers and trimmed with rick rack and creepy crawly spiders! Never let your guest leave without a treat! Joan and Beverly at a Christmas show! Sampling treats from the cookbook! Cookbooks are available At Miss Cayce’s Christmas Store for $20! It is titled Keepers, because these were the recipes worth keeping! 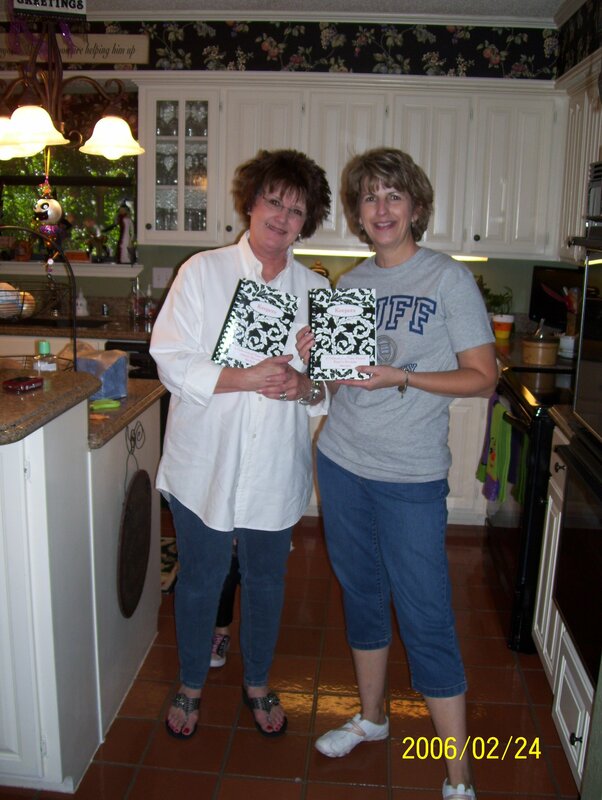 Thank you Beverly and Joan for sharing the Shabby Chic Chefs!